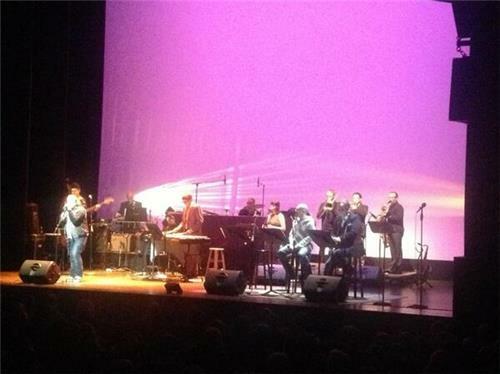 #wits And THANKS to @ckbuttermann for suggesting that Pop Song Correspondence. It was spot on! David Cross is a feet wiggler. 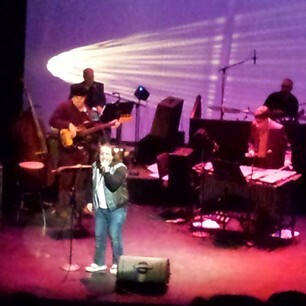 #wits "Please Don't Make Me Hit You" by @HarMarSuperstar inspires a clap along by the audience, who seems to be dancing in their seats. Pretending I have confidence and self respect. Attending #wits doesn't hurt. 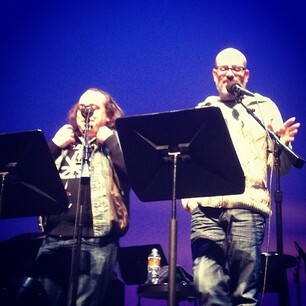 #wits @johnmoe tried to get David Cross to explain Tobias Funke for people who have never seen Arrested Development. Er... yeah. #wits Context free tweet: "Apocalopportunity". #wits Are you ready for capricious and unfair judging? Good. It's Game Show time. CAPRICIOUS. Look it up. Zombies! #wits It's time to take up arms! #wits David Cross on slam poetry: "What do I know about it, besides what I click over when I'm watching tv?" Where did you go Mr. Pickles? #wits It's time we start donating to rich kids...those poor kids catch all the breaks at holiday time...ouch. The real winner of the #Wits game show? The Witnesses. "Which state has the sexiest shape?